Andy Chan is the Vice President for Personal and Career Development at Wake Forest University. As the first career development professional to receive a vice president position in higher education, Andy is leading the transformation of traditional career services to a completely new paradigm. Andy previously led the MBA Career Management Center at Stanford University and has held executive leadership roles in venture-backed startups. 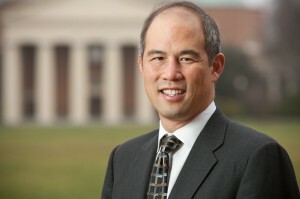 Having also worked in educational technology, consumer marketing, and management consulting – combined with political science and MBA degrees from Stanford, Andy’s diverse experiences have prepared him well to educate and guide today’s college students – who will likely have between 9 and 29 jobs in their lifetimes. Each year, thousands of college students try to figure out what to major in. They experience significant anxiety and confusion about how that choice relates to their career path. After making that choice, many students don’t seriously think about career decisions and the job search until Winter break of their senior year. Many never consider going to the office of “Career Services.” Some don’t even know it exists. Others are embarrassed to not have visited the office sooner. Others think it’s just too late. As much as our colleges have evolved and improved and the world of work has changed, this perennial experience has occurred for decades. For it to change, “Career Services” must die. As leaders of liberal arts institutions, we must ask ourselves: “Given the dynamics of today’s world of work and students’ needs and expectations, how will we fully realize and communicate the value of a liberal arts education – and our specific college or university?” We need better answers, because the answers we offer today are clearly not sufficient. Recent OpEd by Andy Chan: Liberal arts majors or not, students need more career guidance.